Give the gift of climbing! 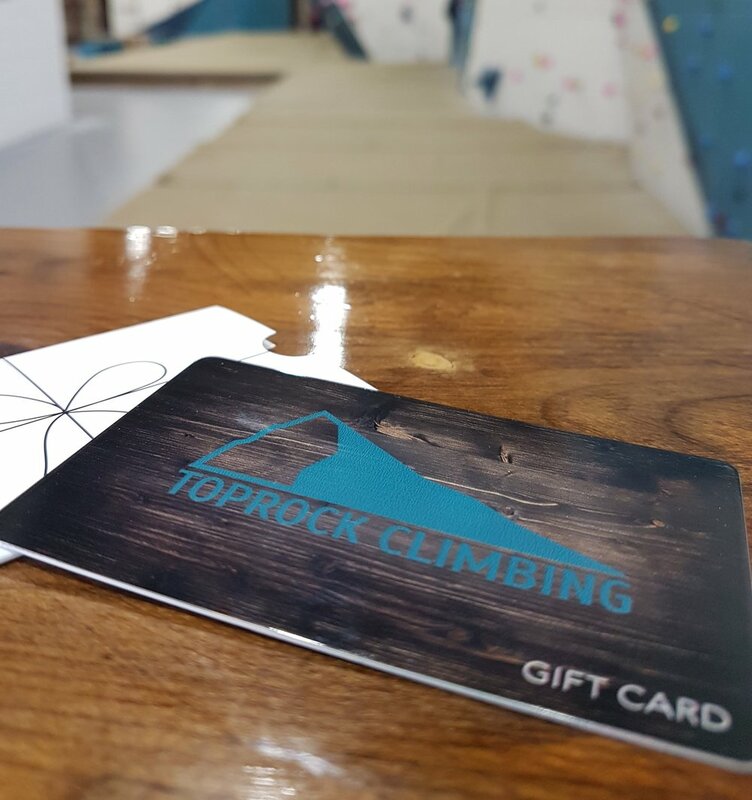 Toprock gift cards never expire and can be redeemed in person for day passes, memberships, 10-passes and gear rentals. Purchase a gift card online instantly! A $40 gift card covers our Intro Package. This includes a 2-week membership, all taxes, climbing shoes, harness and chalk bag rentals (if required) for every visit! Custom amounts are also available.